Of the five Academy Award nominees in the best animated feature category this year, the sole entry that is primarily hand-drawn is Michael Dudok de Wit’s The Red Turtle. It’s the first feature directed by Dudok de Wit, whose short films The Monk and The Fish (1994) and Father and Daughter (2000) are widely considered to be contemporary classics. 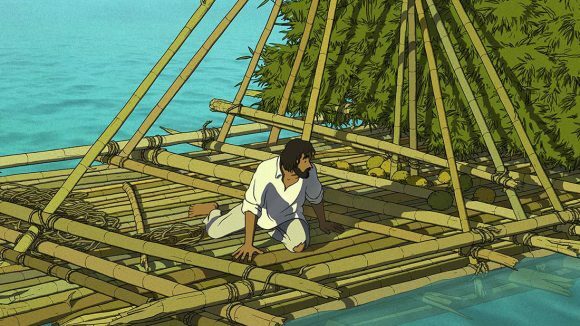 For The Red Turtle, a cross-continental co-production between Japan’s Studio Ghibli and numerous European parties (Why Not Productions, Wild Bunch, CN4 Productions, Arte France Cinema, Belvision Coproduction), the challenge for Dudok de Wit was to maintain his idiosyncratic and minimalist aesthetic while working with a feature film crew. Dudok de Wit met the challenge by designing a production pipeline that addressed the graphic needs of his film. Despite the attachment of Studio Ghibli’s name to the film, it’s important to point out that the entire film was animated in France at Prima Linea Productions, a company that has studios in both Paris and Angoulême. In this piece, we explore five unique aspects of Dudok de Wit’s production. 1. 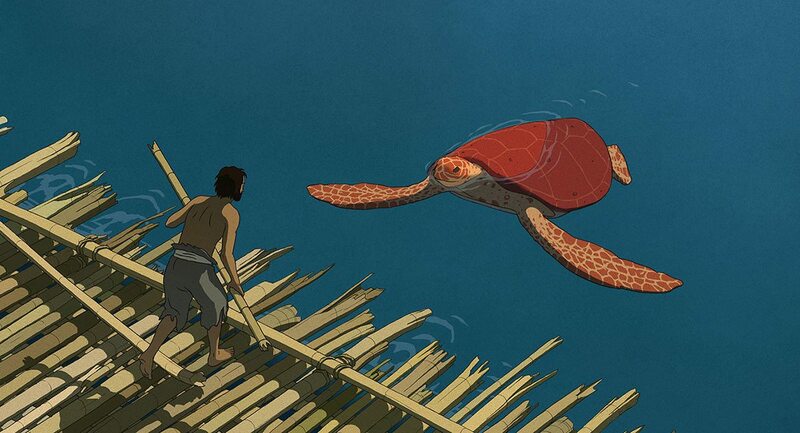 Michael Dudok de Wit initially planned to draw the film on paper, but switched to digital 2D. The film was drawn in TVPaint software on Cintiq tablets, the first time that Dudok de Wit had made a film by drawing digitally instead of on paper. Initially, Dudok de Wit had intended to draw on paper and then scan in the drawings, and between January and September 2011, he worked on a series of drawn-on-paper animation tests at Prima Linea’s facilities in Paris. 2. The backgrounds were drawn with charcoal on paper. The backgrounds of The Red Turtle were drawn with charcoal on paper, “very freely, with broad strokes smudged with the palm of the hand,” said Dudok de Wit. “This artisanal quality was very important and gave the image a lovely, grainy texture.” Those drawings were then scanned, and color was added in Photoshop. Light and shadow effects were composited into the scenes afterward. 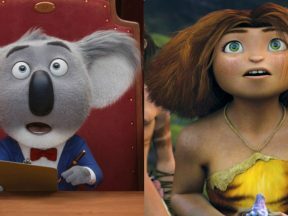 The layout supervisor was Eric Briche, background supervisor was Julien De Man, and color supervisor was Emma McCann. 3. 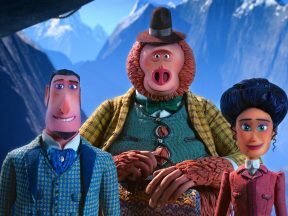 The film had a smaller animation crew than usual for 2D European features. 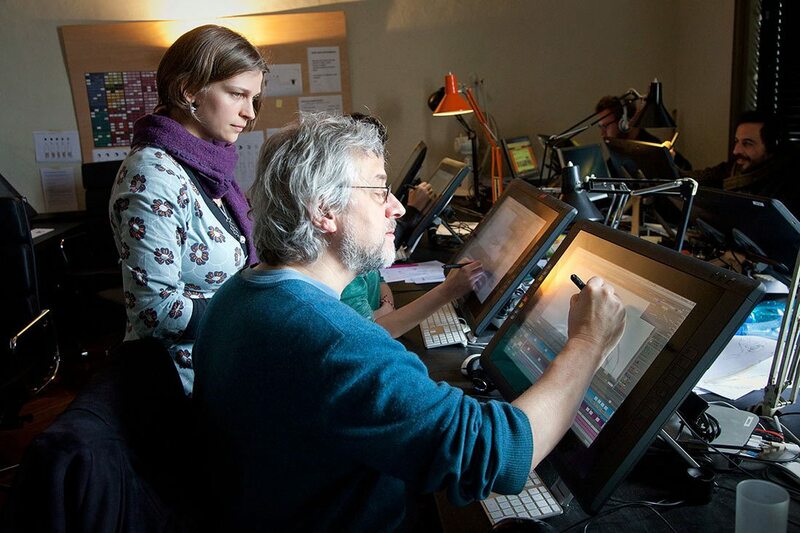 Michael Dudok de Wit gives notes to one of the film’s artists. 4. No rotoscope was used by the animators. 5. The turtles and rafted were cgi. The turtles and raft were modeled and animated in 3D using Autodesk 3ds Max. Afterward, the turtle shell texture, which was created in Photoshop, was integrated onto the character using Blackmagic Design’s Fusion. For the linework on the cg turtles and raft, the cg models were retraced frame-by-frame. 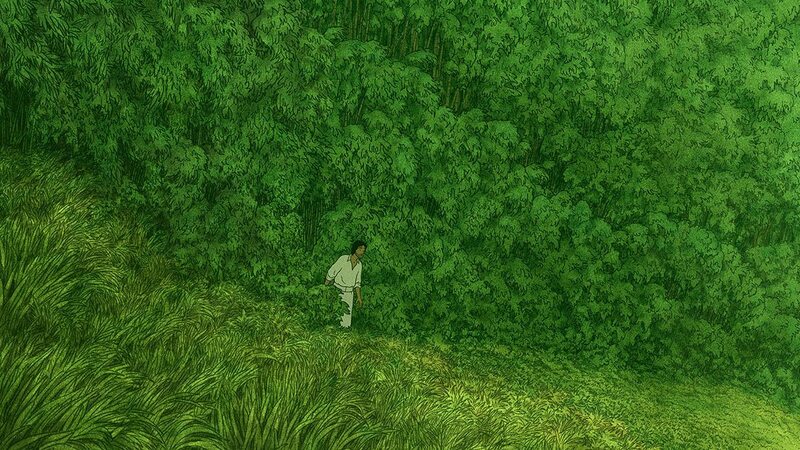 “The hardest part for the animators was to recreate the projected shadows that followed the curves of each bamboo shaft and which had to be animated manually,” said Lie. The linework was subsequently integrated over the cg, again using Fusion. The Red Turtle is distributed in North America by Sony Pictures Classics. It’s currently in limited release in U.S. theaters. Jérémy Clapin’s highly-anticipated feature film directorial debut will premiere at Cannes.